Storytime Pup – an innovative new kids’ TV show – is featuring Peter and the Whimper-Whineys today. Please check it out, and add this program to your list of ways to share books with your children!! This entry was posted in Award-Winning, Behavior, Book Reading, Children's Picturebook, Kid Fans, Manners, Picture Book, Uncategorized, Whining on May 25, 2016 by Sherrill S. Cannon. The Golden Rule has a New Cover – Thank You, Kalpart! 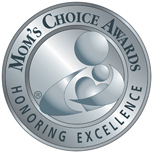 So nice to have a Mom’s Choice Award!!! 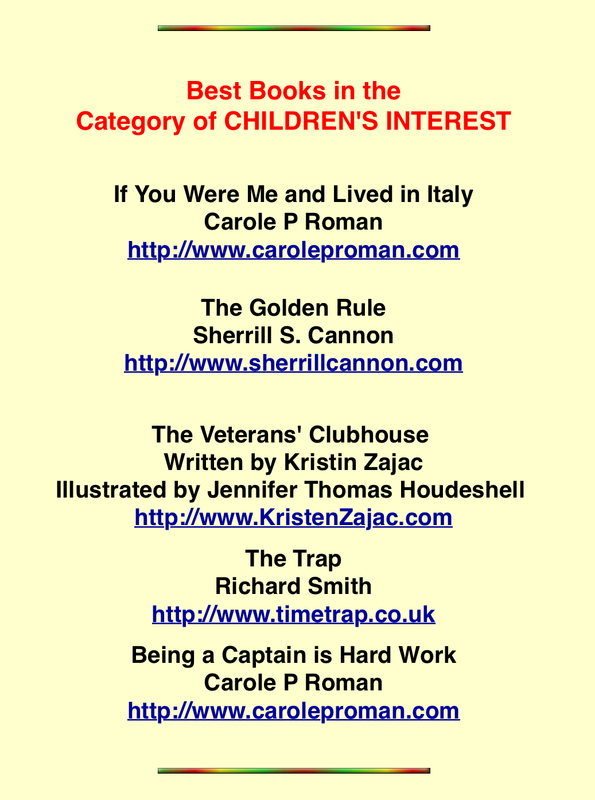 This entry was posted in Award-Winning, Behavior, Children's Picturebook, Consideration for Others, Golden Rule, Manners, Picture Book, sherrill s. Cannon, Uncategorized on May 18, 2016 by Sherrill S. Cannon. Nice to receive this notice! 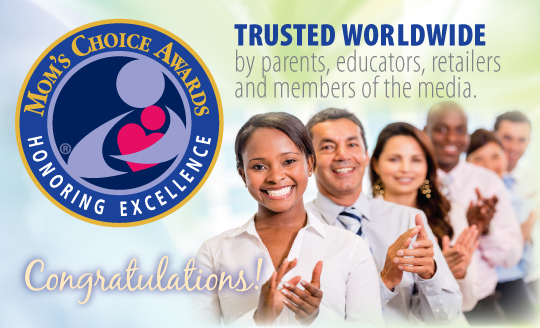 It gives us great pleasure to inform you that The Golden Rule has been named among the best in family-friendly media, products and services. Congratulations! This is my 40th Award... Fun!!! This entry was posted in Award-Winning, Bullying, Children's Picturebook, Consideration for Others, Golden Rule, Manners, Picture Book, SBPRA, sherrill s. Cannon, Uncategorized on May 17, 2016 by Sherrill S. Cannon. I just received a fun “reminder” for a review of Gimme-Jimmy, thanks to Carolina DuFault and the 2016 Multi-Cultural Children’s Book Day event! This entry was posted in Award-Winning, Behavior, Bullying, Children's Picturebook, Consideration for Others, eBook, imbullyfree, Manners, Picture Book, Review, Reviews, sherrill s. Cannon, Uncategorized on May 16, 2016 by Sherrill S. Cannon. Kalpart, my Awesome Illustrator, has Added Award Stickers to my Covers! 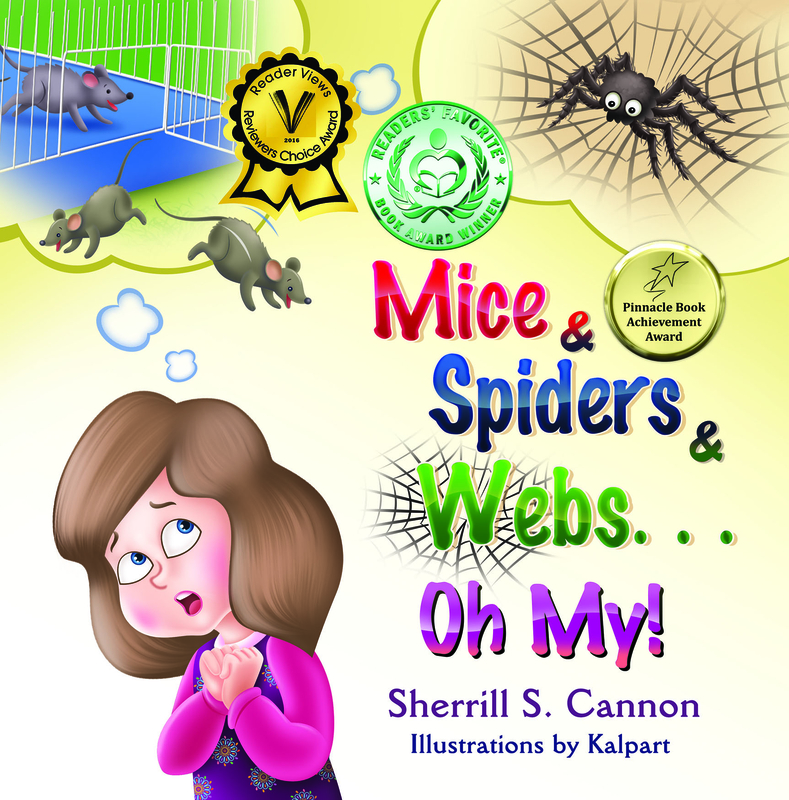 Three Awards for Mice & Spiders & Webs…Oh My! This entry was posted in Award-Winning, Children's Picturebook, Computers for Kids, Consideration for Others, eBook, Golden Rule, Manners, Picture Book, sherrill s. Cannon, Uncategorized on May 11, 2016 by Sherrill S. Cannon. I am so honored to share this wonderful Midwest Book Review for The Golden Rule. This entry was posted in Uncategorized on May 9, 2016 by Sherrill S. Cannon. 39th Award – Pinnacle Achievement Award for The Golden Rule! 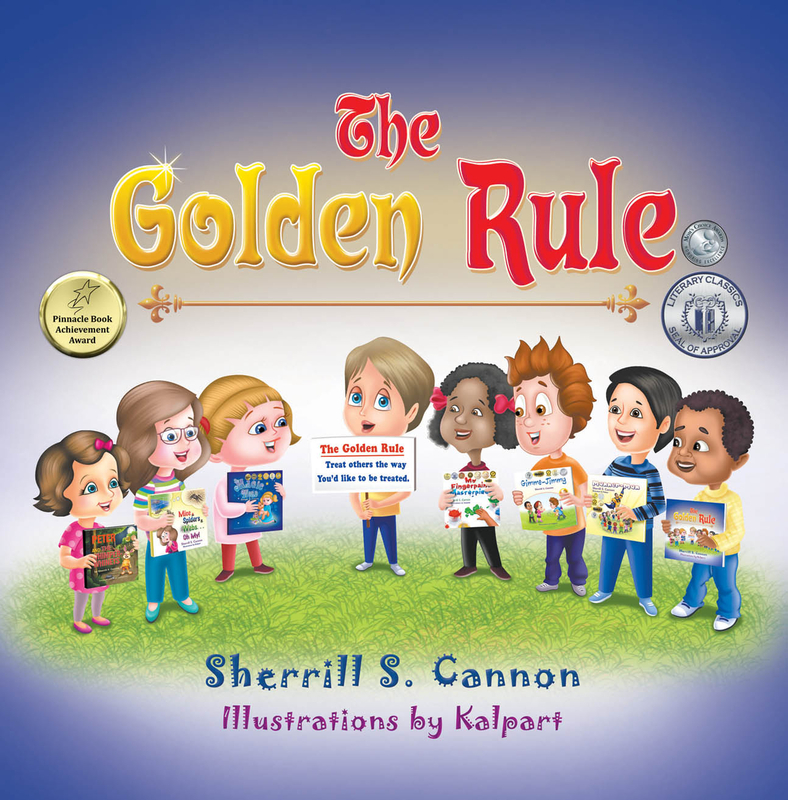 So thrilled to share the news that The Golden Rule has won another award – its 2nd Award – a NABE Pinnacle Award winner! This is my 39th Award!!! This entry was posted in Award-Winning, Bullying, Children's Picturebook, Consideration for Others, Golden Rule, Manners, Picture Book, sherrill s. Cannon, Uncategorized on May 8, 2016 by Sherrill S. Cannon.